I am enjoying our summer flowers and birds today. 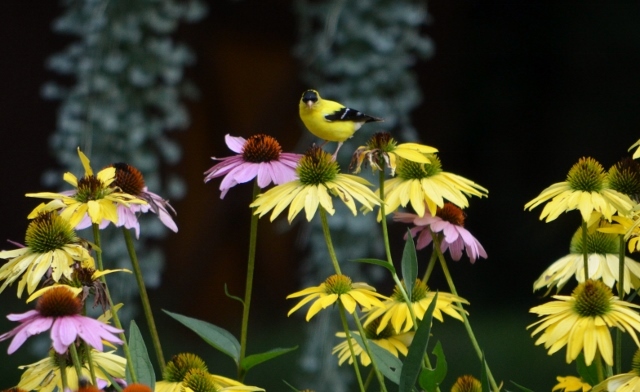 I love the summer plumage of the goldfinch and the scene as he stops by to eat some seeds from the cone flowers. (The silver/gray in the back of the photo is Dichondra (silver falls) from a hanging basket in a tree — Dichondra makes a great “spiller” for a hanging basket).